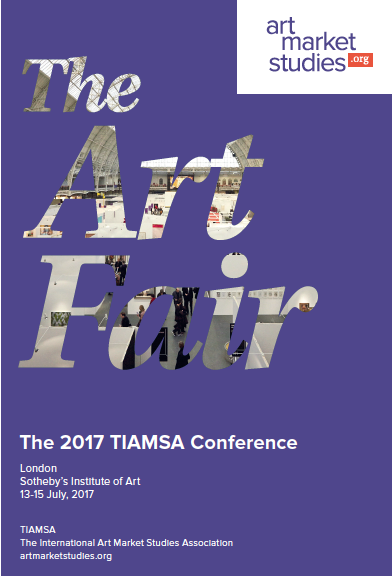 Following a fantastic response to our Call for papers, TIAMSA’s first international conference on ‘Art Fairs’ united 28 speakers from countries worldwide who explored this year’s theme in six sessions. The conference featured a pre-programme (with special tours to the National Gallery London and the newly opened London branch of the Galerie Thaddaeus Ropac), as well as keynotes by Sophie Raux (Université Lumière – Lyon 2) and Noah Horowitz (Director Americas / Member of the Executive Committee, Art Basel). It was held at Sotheby’s Institute of Art, 30 Bedford Square, Bloomsbury, London WC1B 3EE. For all details, see the programme (PDF). You may also browse the contents by looking at the conference abstracts (pdf).